OTHR, launched in May 2016, is a company that 3D prints objects for the home by the world’s leading designers. Adding to its line of objects at a radical, bi-weekly pace, OTHR continually onboards world-class talent to its roster of designers. Their collection of objects ranges from a bronze bottle-opener to a porcelain planter, with items crafted in unexpected materials that push the boundaries of form and design. 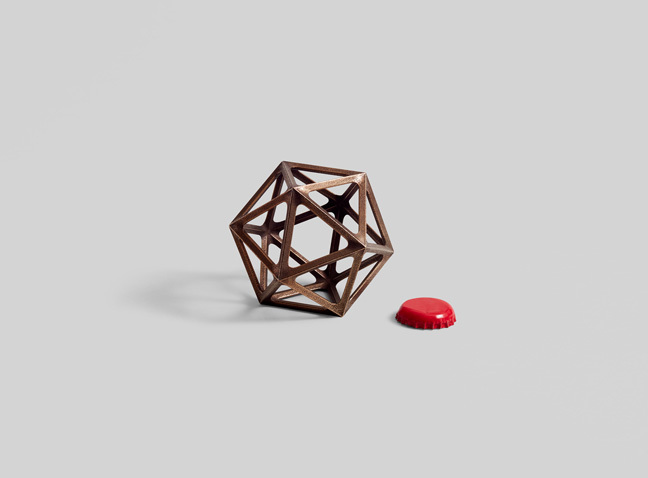 An instant icon, the Ico Bottle Opener is a numbered edition, crafted in 3D printed bronze. Pioneering the possibilities of functional metal frameworks, Brooklyn-based design studio Fort Standard has created a beautiful tabletop item that begs to be used and displayed. The complex design also showcases the full potential of 3D printed bronze. Simply put, the Ico Bottle Opener would not be possible to produce as a casting. 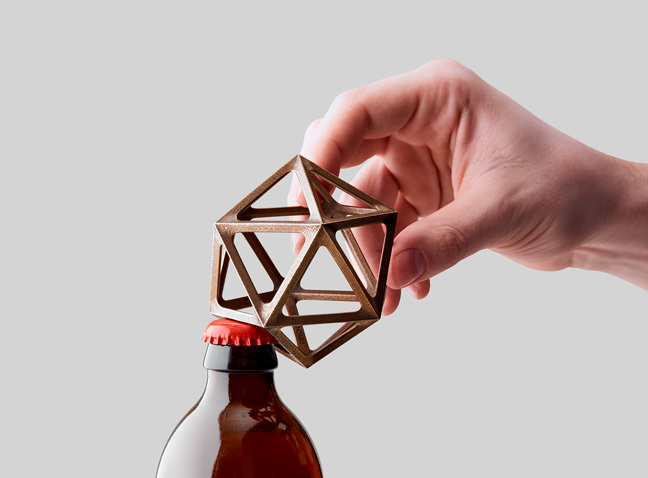 Each of the 20 facets on the icosahedron function as a bottle opener; its three sides mean that there are actually 60 bottle openers in this one form. Plus, we love the hidden trick of capturing your bottle cap within the piece after opening. 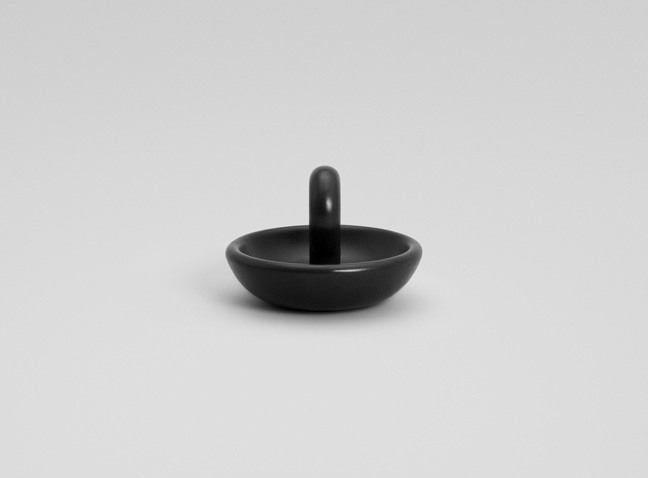 As beautiful as it is functional, this catchall is available in gloss red, black or white 3D printed porcelain, as a numbered edition. Perhaps best described in the designer Paul Loebach’s own words, Little O is “a stout, cute, heavy, little multi-purpose catchall, where you put things that need a place to go.” The thickness and weight of this catchall redefines what is possible in porcelain due to transformative technologies—and it’s this feature that is most surprising when handling the object. How does one begin to reimagine such an age-old form as a cup? In Sorvo, the impossible is achieved. 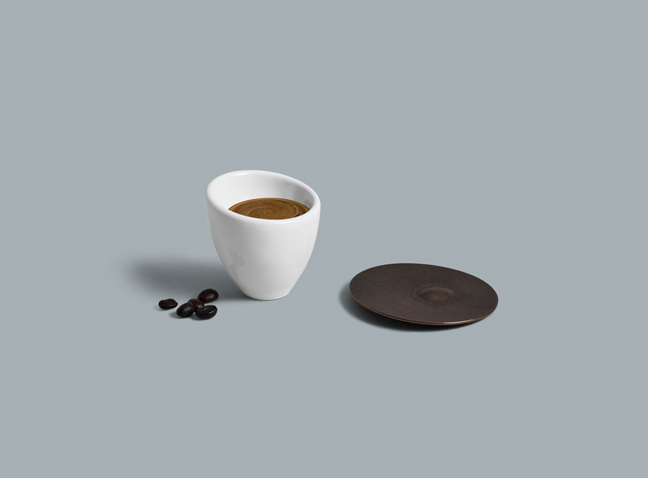 The espresso cup and saucer explore the illusion of a tipping point in 3D printed bronze and 3D printed porcelain. 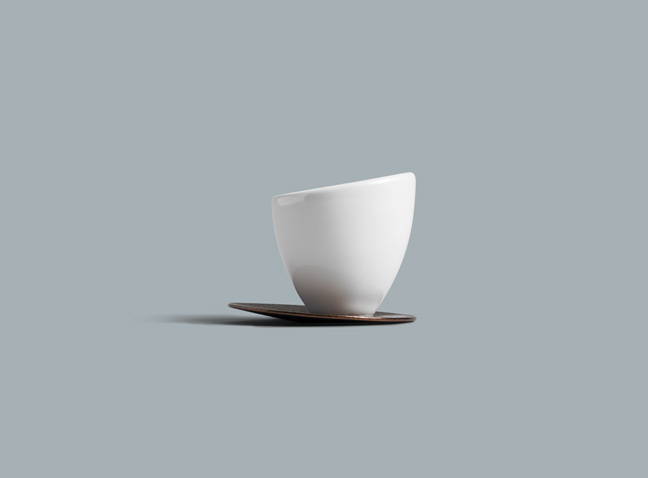 By digitally modifying the cup’s wall thickness, the designer has created a subtle trompe l’oeil: the perfectly centered surface of the espresso sits within a seemingly asymmetrical porcelain frame. To enjoy the full spectacle, the user must sip their espresso from the peak of the cup. This heavy-duty tool is as handsome as it is strong. 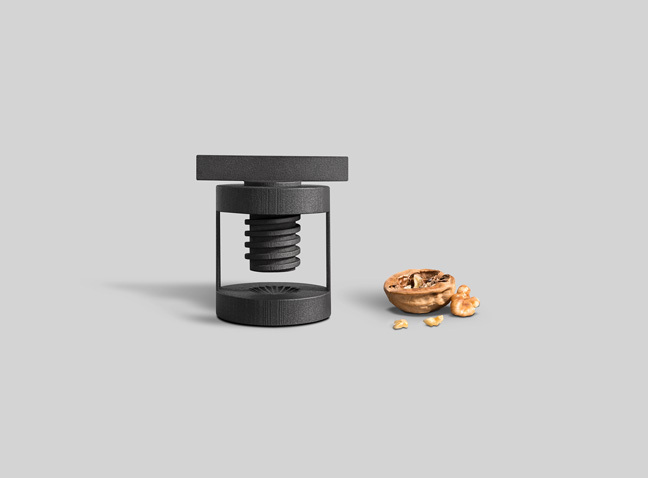 Available as a numbered edition in matte black 3D printed steel, force and elegance are no longer mutually exclusive. 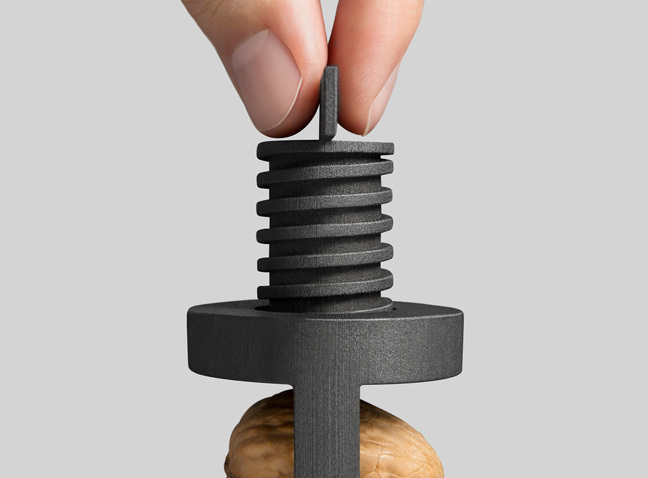 Drawing inspiration from the functionality of industrial tools and mechanisms, this object adds control and fun to the formidable task of cracking nuts. Inspired by the hearth, this sturdy yet refined object invites movement and invokes a strong sense of kinship. A respite from traditional, static objects, Torq demonstrates the mechanical potential of 3D printing.